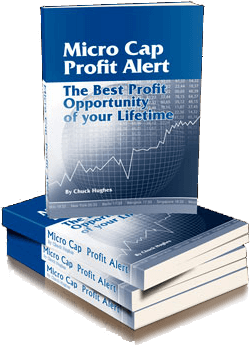 Do you want to get into investing but don't have a huge bank account?Are you unsure what to invest in?The Micro Cap Profit Alert Trading Strategy is exactly what you need. Members of the Micro Cap Profit Alert receive access to a "Member Only" proprietary web page. This service provides recommendations for small and micro cap stocks. All recommended small cap trading signals are posted on a page enabling members to benefit from the continued success of small and micro cap companies. This service is ideal for small trading accounts as a $2000 trading account could trade a diversified portfolio by investing $400 in small company stocks in 5 different industries or sectors. 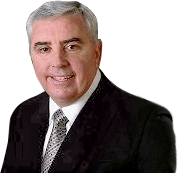 With more than 30 years of trading experience Chuck Hughes has been excellent results in finding the best small and micro cap stocks. Historical research shows small companies have consistently provided the best investment returns for as compared to other investments over a 70 year period. A simple $1000 small cap trading investment in a micro cap stock over the past 70 years would have grow to 11.4 million. You can't argue with the numbers. Micro cap stocks have outperformed large cap by 9 to 1 margin, real estate by 184 to 1, and gold by 374 to 1 over a 70 year period. During a period of time dubbed as the "lost years” (2000-2010) , when most indexes had negative returns, micro cap stocks had a positive 179% return over the same period. Chuck's research has proven that the bigger the company does not mean the bigger the returns. In fact quite opposite. On average, returns increase as investors move away from the larger companies to the smaller ones.This suggests that past returns will predict future ones. This is why our Micro Cap Profit Alert Trading Strategy encourages small cap trading. Since 1940, small and micro cap stocks have consistently outperformed the mid, large, and mega cap stocks. Small and micro cap stocks and small cap trading should be a part of every investors diversified portfolio. Contact our Micro Cap Profit Advisers for advice on micro cap stocks and small cap trading. Check out Chuck Hughes' micro cap trade results for open and closed trades.